Hint: These tips work for grown-up clothes as well as kids’ things! Now that your living room and bedroom are organized, it’s time to focus on your children’s rooms. Cleaning out kid spaces can take some time, so I’m breaking their areas up into two weeks. This week, my tips all focus on kids clothing, and next week’s focus will be about toys. Remember: Your declutter schedule may be different from what I suggest – that’s okay! Just make progress. 1) Have designated clean-clothing spaces. I know this may seem like common-sense to many of you, but for years I struggled with clothes overflowing all over the place. I finally realized that part of the reason I was always behind on laundry was because when I was caught up, there simply wasn’t enough space for all of the clothes. Now every piece of laundry in our home has a designated place. 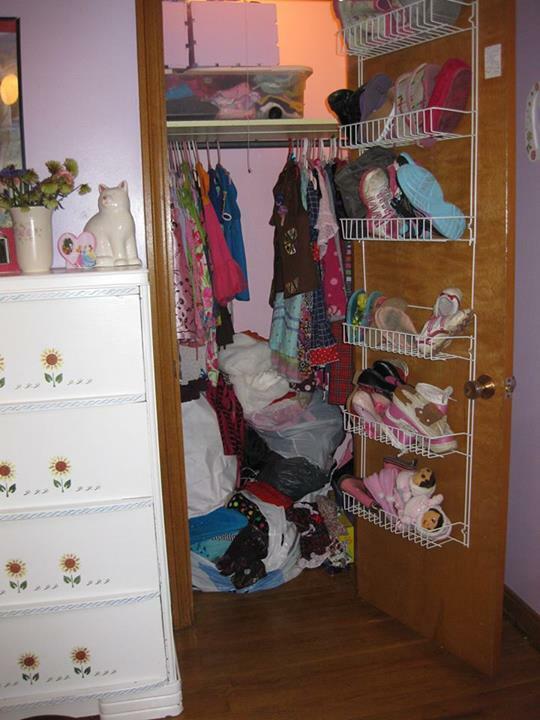 For example, my daughters share a small-ish closet plus they each have their own dresser. Dresses and coats get hung up, and everything else gets folded and put in their dresser drawers. We can only fit so many bulky sweatshirts in their winter drawer, and once a drawer is full they choose something to give away. This limit encourages them to pare down to what they really like, especially since many of their clothes only got worn after the favorites were dirty. Every single piece of laundry in your house should easily fit into a designated place. This doesn’t mean the items are always in their proper location, but it means everything has a proper location. If your kids’ clothing doesn’t all fit neatly into their drawers and closet, take some time this week to help them choose items to donate. 2) Have a designated place for clothes to grow into. Remember, your kids can only wear one outfit at a time. They don’t really need to keep 30 tops and 15 pairs of jeans in the same size. Let your children choose their favorite outfits to grow into and pass the rest along to another family who can be blessed with the remaining items. Bags of adorable hand-me-downs that we spent an afternoon going through. When we’re given clothes, we just place them into the bottom of their closet until we’re able to look through them thoroughly (we try not to let clothing sit in their closet for more than a couple of weeks). Once we go through the hand-me-downs, we put them in their designated spot. Lily (8) has three under-the-bed totes full of hand-me-downs. This includes thick coats, boots, regular clothes, etc. This is her maximum clothing storage allotment. When she’s given more clothes from friends, we are so excited to go through them and pick out her favorites. She is not allowed to let the totes to overflow, however, so whatever doesn’t fit in a tote is given to someone else who would be also thrilled to receive the items! UPDATE: After another clothing-organization session, we are now down to two under-the-bed totes for Lily! Grace (4) can have her top dresser drawer, plus one under-the-bed tote full of clothes to grow into. Anything more than that is given to family friends. It is silly and wasteful for us to keep clothes we don’t need when we could bless another family with the items. If you have clothing for your children to grow into, go through the clothes. 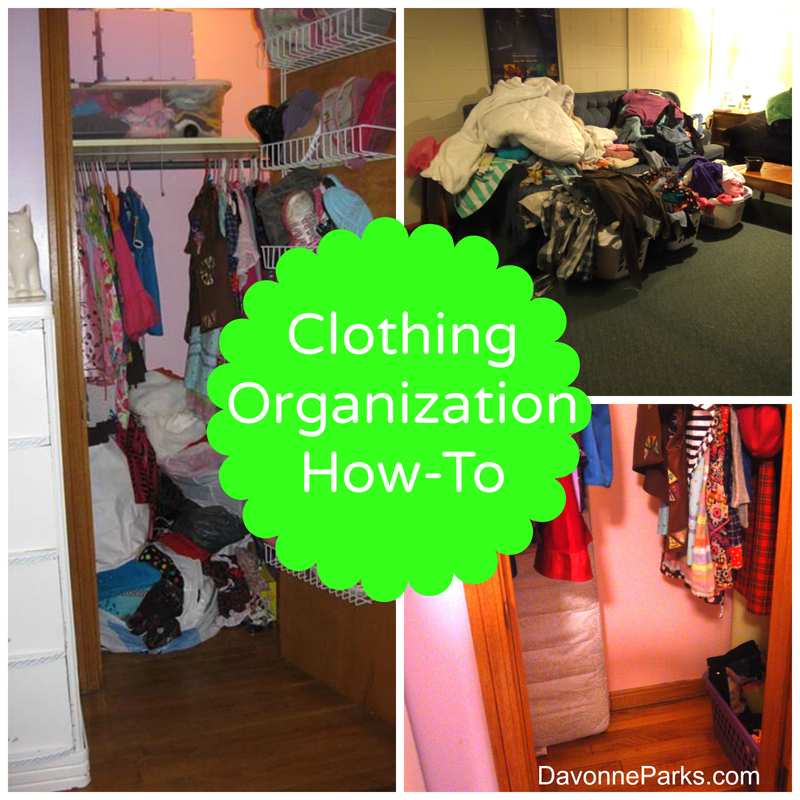 Create designated clothing spots, even if it’s just two trash bags per child (label the bags with a sharpie), and donate anything that doesn’t fit into the designated space. 3) Consider the possibility of changing clothing out seasonally. I personally don’t do this, because it just feels like too much work for me. Plus, I need the limitations on clothing and having everything in everyone’s dressers provides a great natural boundary in my home. If multiple children share one dresser at your house, then changing clothes out seasonally may be necessary. If you do this, make sure to have limits and keep no more than 1-2 boxes or bags of clothes per child for the upcoming season. After the hand-me-downs were organized. 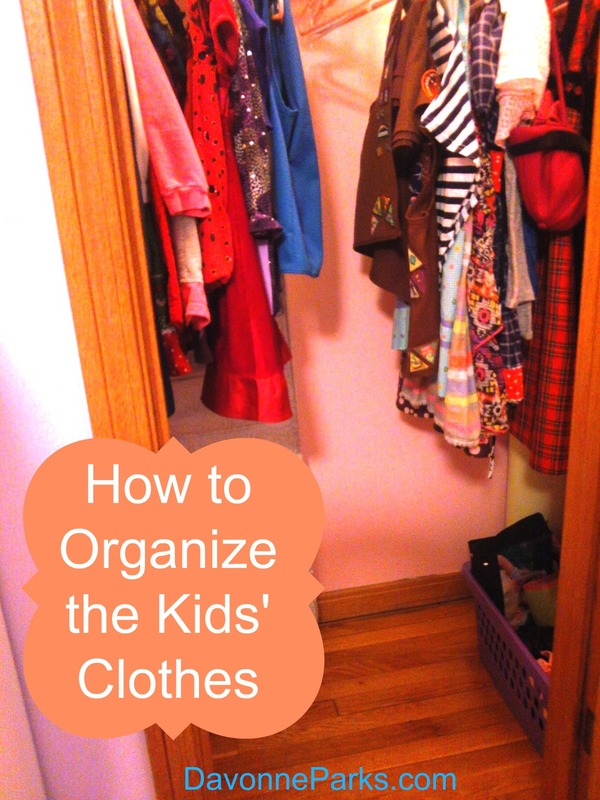 Clean out approximately half of your kid’s spaces. If you have more than one kids’ bedroom, you may want to work in half of the rooms this week and half next week. Or you may want to tackle all clothes this week and save all toys for next week. I personally like to organize one full room at a time so I can see real progress as I go along, but you know how you work the best. Use your best judgment when choosing which areas to clean this week. If things take longer that you expect, don’t worry about that. Remember that progress is still progress, no matter how slow. Have I missed anything? If you have any questions or additional tips please let us know in the comments section! You may also like this post about organizing your kids’ toys (with tips on how to decide what to keep and what to toss). I’m right there with you, Tabitha! Thanks for commenting!